The Public Engagement Advisory Group was set up to provide strategic academic oversight of public engagement at the University. The group consists of academic champions from each of the six Schools, nominated by their Head of School, and is chaired by the Pro-Vice-Chancellor for Research. The group's key priorities, since formation in Autumn 2015, have been to develop public engagement with research strategy at a school level, and spearhead new initiatives including the Public Engagement with Research Awards and Public Engagement Starter Fund. Dr Andy Martin is University Lecturer in the Department of French in the Faculty of Modern and Medieval Languages at the University of Cambridge. 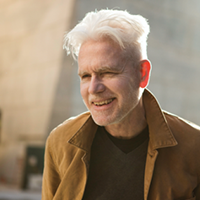 He is author of numerous books, including: The Knowledge of Ignorance: from Genesis to Jules Verne (1985), The Mask of the Prophet: the extraordinary fictions of Jules Verne (1989), Napoleon the Novelist (2001), Stealing the wave: the epic struggle between Ken Bradshaw and Mark Foo (2007), and Reacher Said Nothing: Lee Child and the Making of Make Me (2015). He is a regular contributor to BBC radio programmes and has written in The New York Times, The Times, The Guardian, The New Scientist. His priority as a PEAG member is a potential collaboration between the University and The Independent. Andy also maintains a public facing website and blog. 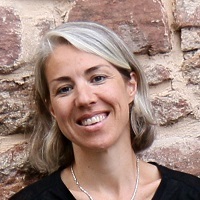 Hélène Doerflinger is a biologist working on cell polarity at the Wellcome Trust/Cancer Research UK – Gurdon Institute. 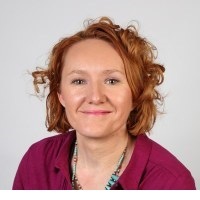 She has also always been interested in generating links between the public and scientists and after obtaining a Diploma in Science Communication (Birkbeck, London), she has been developing the Gurdon Institute’s Public Engagement programme. She is now a Research Associate in Daniel St Johnston’s group and the Public Engagement Coordinator for the Gurdon Institute. 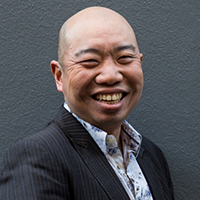 Dr Giles Yeo is from San Francisco, receiving his Bachelor’s degree in Molecular and Cell Biology from the University of California, Berkeley. 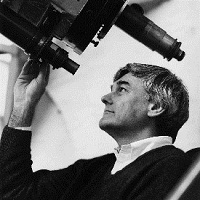 In 1994, he came to Cambridge joining the lab of Prof Sydney Brenner (Nobel Laureate 2002) for his PhD studies. In 1998 he began his post-doctoral training with Prof Sir Stephen O’Rahilly in the Department of Clinical Biochemistry, working on the genetics of severe human obesity. He was the first to report that mutations in the melanocortin-4 receptor (MC4R) and in the neurotrophic receptor TRKB resulted in severe human obesity. 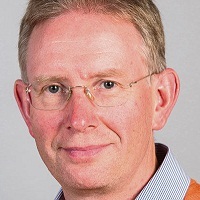 In 2007, Giles became Director of the core Genomics/Transcriptomics facilities and a group leader at the University of Cambridge Metabolic Research Labs. Giles is also a graduate tutor and fellow of Wolfson College, Cambridge. His group is interested in studying the brain control of food intake and bodyweight, and how these might be dysregulated in obesity. Giles also presents science documentaries for the BBC. He presented BBC Horizon’s ‘Why are we getting so fat?’ which aired 7 June 2016. His critically acclaimed investigative piece ‘Clean eating – The dirty truth’, also for BBC Horizon, was screened on 19 Jan 2017 and prompted an important national debate about dieting advice and evidence based science. Ljiljana is a chemist working in the interdisciplinary fields of new (bio)materials design, light triggered chemistry and nano-structuring. She has been involved in public engagement since her studies in Zagreb, and is a curator of science-inspired and art-driven exhibitions such as Future is Here (part of ExoEvolution, Globale 2015) at the internationally renowned Zentrum für Kunst und Medientechnologie (ZKM, Karlsruhe, Germany). She has co-authored several books including Molecular Aesthetics (MIT Press, 2013), with artist Peter Webel, and 3D Molecules that changed the World, with Bernd Lintermann (Karlsruhe) which accompanied an installation shown in several venues throughout Europe. In 2016 Ljiljana and Bernd launched Molecules App to be used as a chemistry teaching tool. Ljiljana has also done a series of popular science lectures and radio shows in Germany, Croatia and the UK and is continuously hosting artists from all over the world in her lab. Her most recent project involved designing "Molecular Chocolates" featuring 3D structure of selected molecules printed onto appropriately flavoured high quality chocolate, to inspire all chocolate fans to immerse themselves in the world of molecules. Gerry Gilmore has been active in outreach since graduate student days. Currently he is busy with outreach from the Gaia space mission, for which he is UK Principal Investigator. 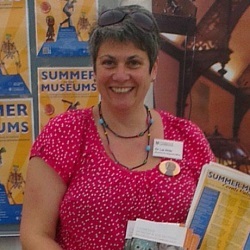 As University of Cambridge Museums Officer, Liz's role is to support and develop the eight University of Cambridge Museums. She oversees the development and delivery of projects across the UCM, in particular the Arts Council England funded Connecting Collections Programme. She takes an overview across the museums, rather than working within one or other of them, ensuring that the benefits of funding and collaboration are shared across the museums. Ultimately, her work is about enabling more people to engage, perhaps for the first time, with our extraordinary museums and collections and the research and scholarship that lie behind them. Pauline Rose joined the University in February 2014 as Professor of International Education, and is Director of the Research for Equitable Access and Learning (REAL) Centre in the Faculty of Education. 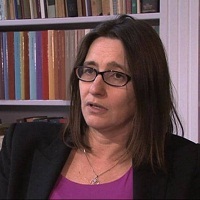 She is also Senior Research Fellow at the UK Department for International Development. Prior to joining Cambridge, Pauline was Director of the EFA Global Monitoring Report (from August 2011) during which time she directed two reports on youth, skills and work, and on teaching and learning. Before becoming Director, she worked as Senior Policy Analyst with the team for three years, leading the research for three reports on the themes of governance, marginalization and conflict. Before joining the EFA Global Monitoring Report, Pauline was Reader in international education and development at the University of Sussex.